Just the latest from the nightly highlight reel that is Yasiel Puig's rookie season with the Dodgers. In what was a nine-run game in the eighth inning, here's Puig running from somewhere near Montreal to take away extra bases from J.P. Arencibia, and a likely run from the Blue Jays. 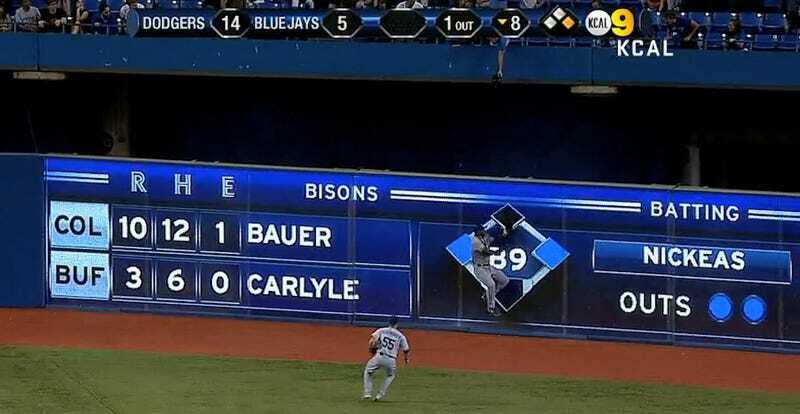 That's not a bad throw to first to try to get Colby Rasmus, either.